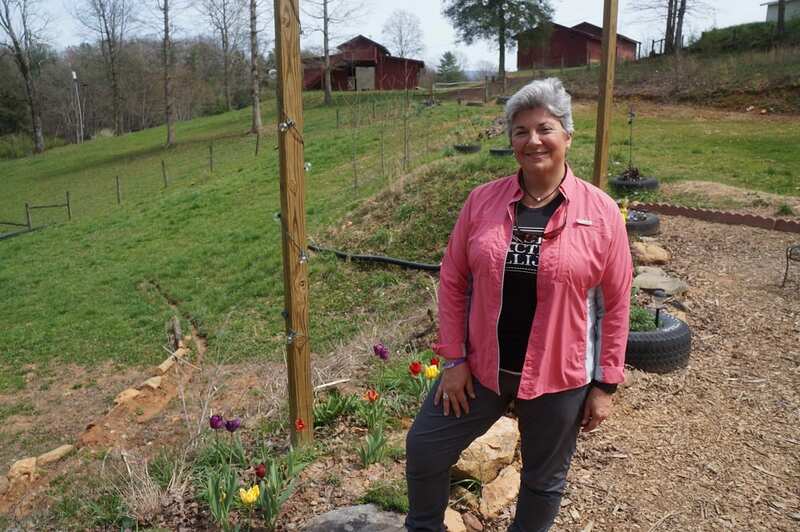 ELLIJAY, Ga. – Creator of Ellijay’s outdoor social club, Stay Active Ellijay, Karleen Ferguson qualified in March to run for the position of Post 2 Commissioner in Gilmer County. Originally attending the University of Georgia for a degree in early childhood education and graduating from Kean University in New Jersey with the degree, Ferguson actually spent much of her time with her family’s Catering and Events business in Atlanta. While she admits it was not her dream, she said she learned a lot from planning the events alongside her family. First moving to Ellijay in 2000, she admitted that her and Robert Ferguson, her husband, used to be one of those people who would come to their home in Ellijay but avoid the crowds. Karleen Ferguson returned to Atlanta in 2005 to take care of her family while maintaining a second home in Ellijay. Growing more in the community and becoming more socially active, she said she began to notice more of the “depressed conditions” she found in areas of the community. In 2010, Ferguson said, she and her husband Robert sold their main home to live in Ellijay full-time. After helping create the concert series Ellijay Under the Stars, she met Paige Green at one of the events. Building on her achievements and events planning, she began working for the Gilmer Chamber as the Tourism and Special Events coordinator. Along with her husband, Robert, Karleen Ferguson has raised four children, three boys and one girl, while performing duties as a health coach for over 18 years spanning before and after her time with the Chamber. Even after leaving the Chamber to continue her health coach work, she volunteered in the Chamber’s Ambassador program where she served five years. During that time, she grew out of health coaching to create Stay Active Ellijay (SAE) in order to fill what she calls a gap between encouraging people to experience the region and actual programs to facilitate the experience. Described as an “award-winning outdoor social club” by Ferguson, SAE currently serves over 200 members through activities like hiking, kayaking, cycling, horseback riding, and more. Ferguson tells FYN she had not even considered running, but having rolled off of her services in the Chamber volunteer and Ambassador work, she began to look for her next project and service. It was not until she had heard from current Post 2 Commissioner Travis Crouch that he would not be running again that she thought of running herself. Furthering the conversation, Ferguson said she sat down with Couch to discuss the position and the possibility of running. Then she went on to sit down individually with both Gilmer County Commission Chairman Charlie Paris and Post 1 Commissioner Dallas Miller. After meeting with all three and feeling confident that she could hold the position, she prayed over the move and, feeling it was God’s direction for her, qualified for election. Mentioning a few ideas to better utilize the county’s resources, Ferguson said she was excited to have the repairs for the walking path and tennis courts while she wants to see better utilization of natural resources like the rivers. Karleen Ferguson is one of four candidates running for the Post 2 Commissioner position in Gilmer County. Check out FYN’s other candidate interviews as they become available for Woody Janssen, Jerry Tuso, and Danny Hall.